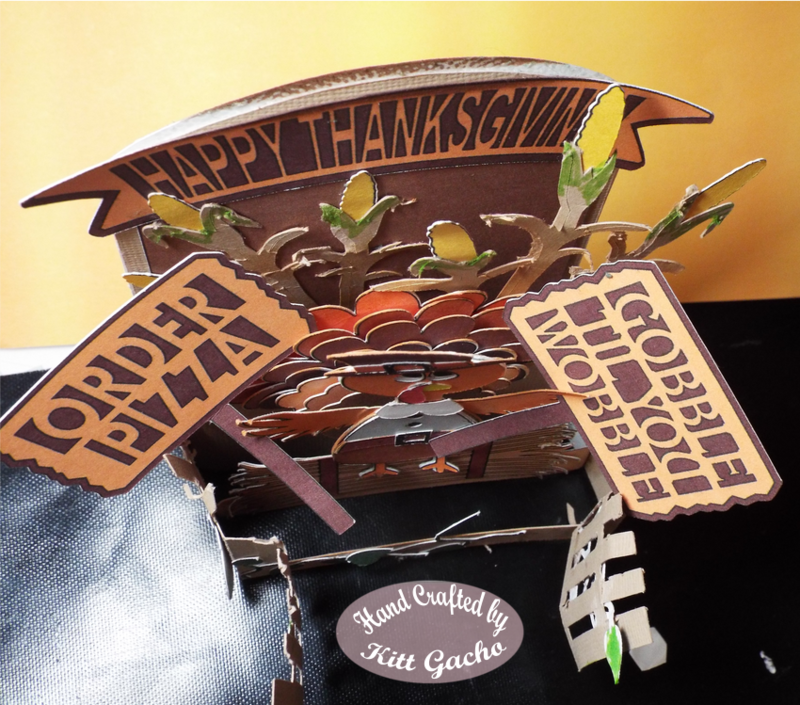 Kitt's World: First Thanksgiving Project. I hope you all had a wonderful Halloween. Before we know it, It will be Thanksgiving. 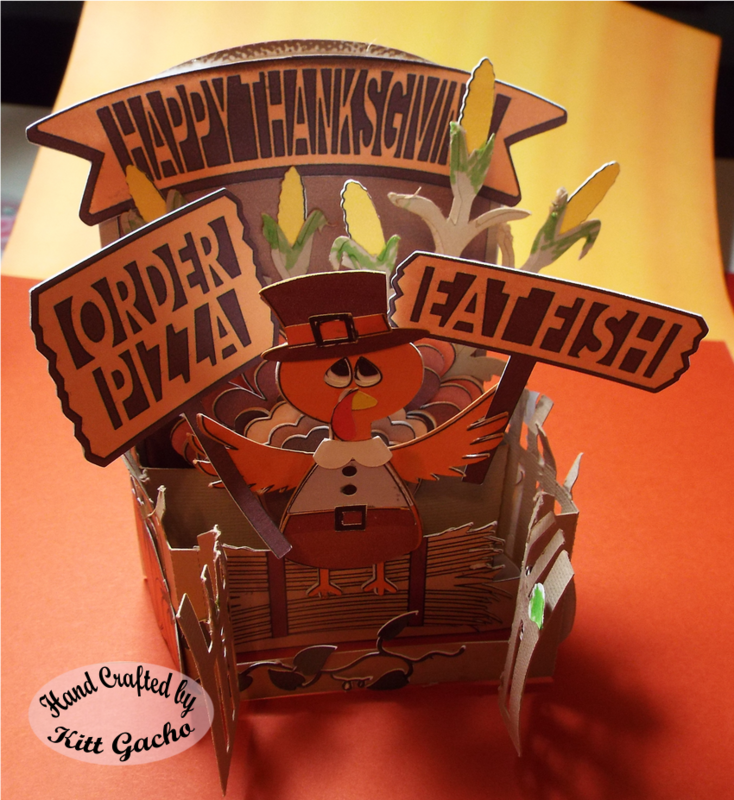 I'm pleased that I have my first Thanksgiving project for you. 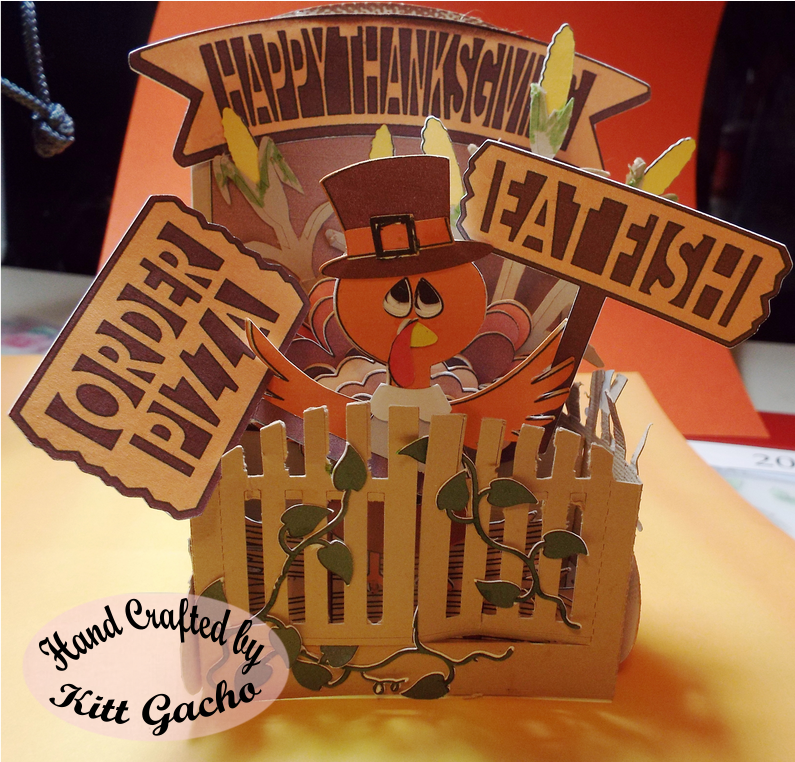 It is a box card that will fold and go into an envelop for mailing. And it will make a nice display on a desktop. I made this for the challenge over at Decorate to Celebrate where all the challenges are for 3D projects. Be sure to stop by and see what the very talented DT has for your inspiration. I'm please with the way this box card turned out. It makes me think where I was a year ago and how far I have come on this creative journey. Thank you so much for your comments. They are what inspire me to continue with my creations. I can't promise yet, but I'm hoping to have a series of Christmas cards and projects coming soon. So please follow me as we start this holiday season. Have a happy crafty day. Thank you for stopping by. This is our157th Anything Goes Art Challenge here at Word Art Wednesday. We appreciate your faithful participation. hahahaha. this is great! Thanks for playing over at Kraftin Kimmie! Oh WOW this is such a FABULOUS project Kitt!! So many wonderful details to take in...thank you for sharing with us at Fresh Brewed Designs!! Lovely project. I like all of the details. Thanks for joining us at Aud Sentiments with sentiment on a tag challenge. This is so perfect for our ‘FALL COLOURS’ theme. Just love the colours and design. Thanks for sharing your talent with us and good luck. Thanks for joining our Wonderful Wednesday at Kraftin' Kimmie Stamps! SO CUTE!!! Love the signs he is holding and all of the different layers. Thank you for sharing and playing along with us at Freshly Brewed Challenges FALL COLORS Challenge. What a clever clever card...lots of work as well. 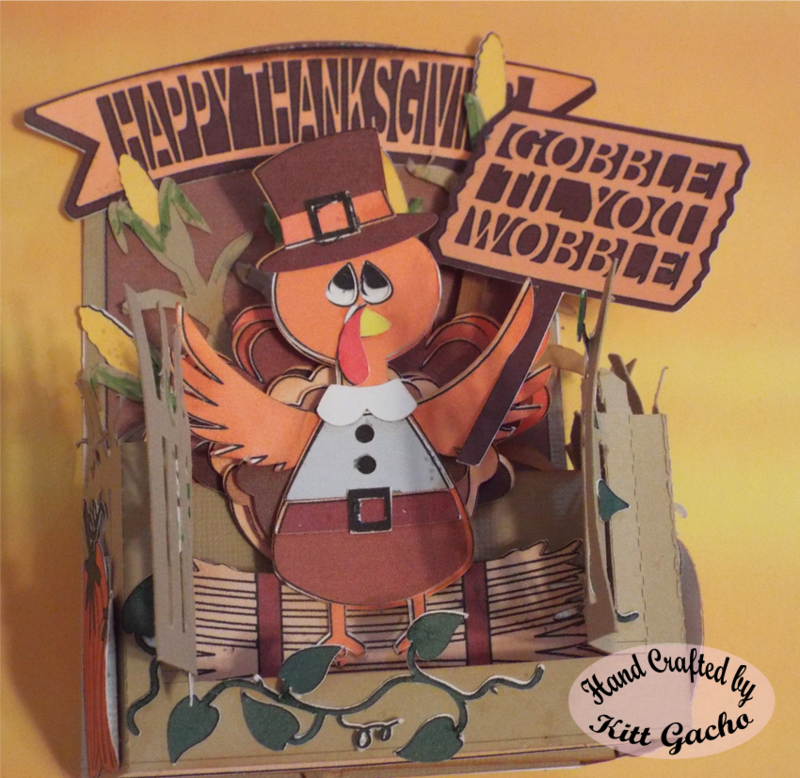 Thank you for joining the thankful and thoughtful challenge at Dreamweaver Stencils this month.